Apparently the display on the G4 follows the DCI color space instead of sRGB. Do you know if this is a good thing? I thought movies were mastered in sRGB, not DCI? And even if LG has accurately calibrated the G4 to DCI, could they have messed up the gamma? Or is a 2.2 gamma part of DCI meaning LG can't mess with it otherwise they can't market their device as DCI compliant? Like +Samsung Mobile has done before, marketing their Super AMOLED devices as color accurate according to the Adobe RGB standard to appeal to photographers, +LG Electronics described the LG G4 display as following another standard they call "DCI"
First of all, DCI acronym stands for "Digital Cinema Initiatives, LLC" and not the name of a color standard. 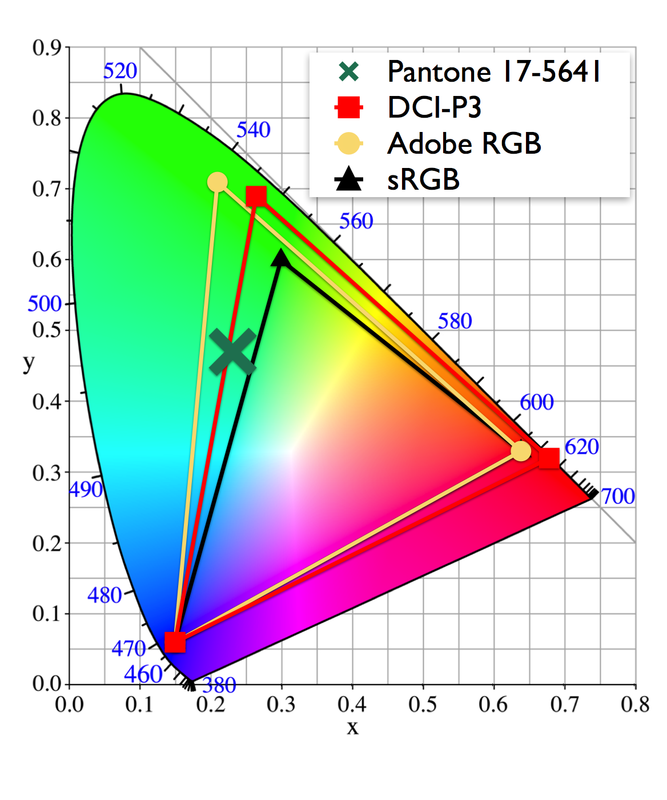 Assuming they are talking about DCI-P3 color gamut, it's the gamut part of one of the color encoding formats for professional cinema projection. Additionally, the white point is not even the same. Today, Android applications lack color management abilities which would allow to convert one color encoding to another and display content as intended on various displays seamlessly. +LG Electronics throws in the "DCI" name to impress reporters and customers with the intent to convince them of the benefits in color accuracy and true-to-life color reproduction of their new display. However, when checking what they're mentioning stands for, it is clear that displaying today's content, which color are encoded using sRGB (Rec.709 gamut and around 2.2 gamma) on a "DCI-P3" display (wide gamut and gamma 2.6) would lead to particularly inaccurate color rendering. Colors would not be rendered with the right hue, look too intense (over-saturated look), and annoyingly too dark due to the gamma 2.6, which increases saturation even more. In conclusion, +LG Electronics is proud of their new wide-gamut display but please don't be fooled by the marketing mumbo-jumbo employed. It doesn't correspond to any professional standard or any standard altogether, it will distort colors instead of rendering them faithfully, and this is mostly a response to Samsung, just as bogus Adobe RGB accuracy claims. Here's the result on my Nexus 5: not bad.